The largest range of acrylic colours available on the market. High pigment loading for intense colour application and no matting agents that hinder colour brilliance. Golden’s Heavy Body acrylics are lightfast, permanent, flexible and conform to ASTM D4236 standards. 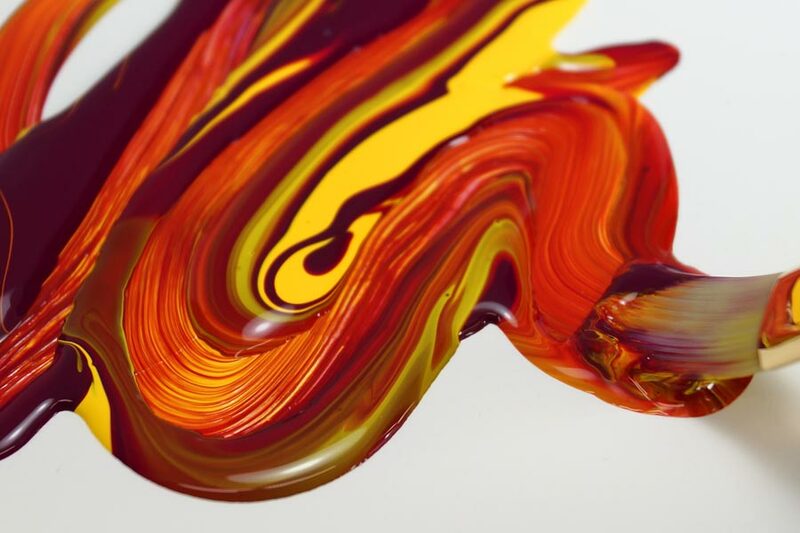 Golden Fluid acrylics offer the same colour intensity as Heavy Body acrylics but with an even, flowing characteristic useful for a variety of fine art techniques. They are highly intense, permanent acrylic colours with a consistency similar to heavy cream. 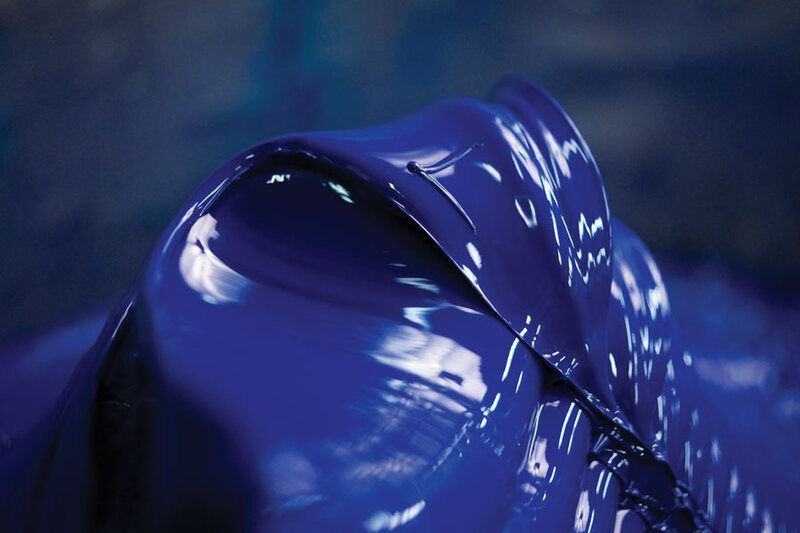 Produced from lightfast pigments, not dyes, they offer very strong colours with very thin consistencies. No fillers or extenders are added. 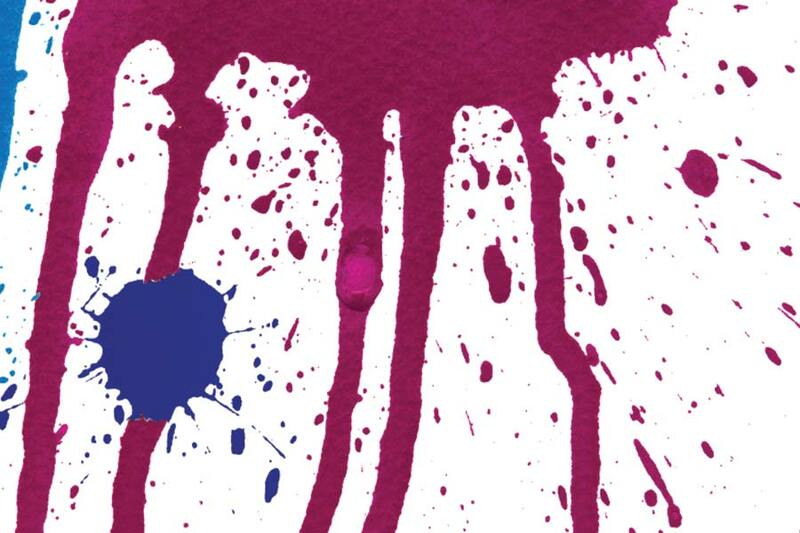 Unlike mixtures of heavy-bodied paints and water which produce weak color and films by dilution, Fluid acrylics contain high pigment levels suspended in an acrylic polymer vehicle. The result offers fine dispersion, high tinting strength, durability, flexibility and good adhesion. 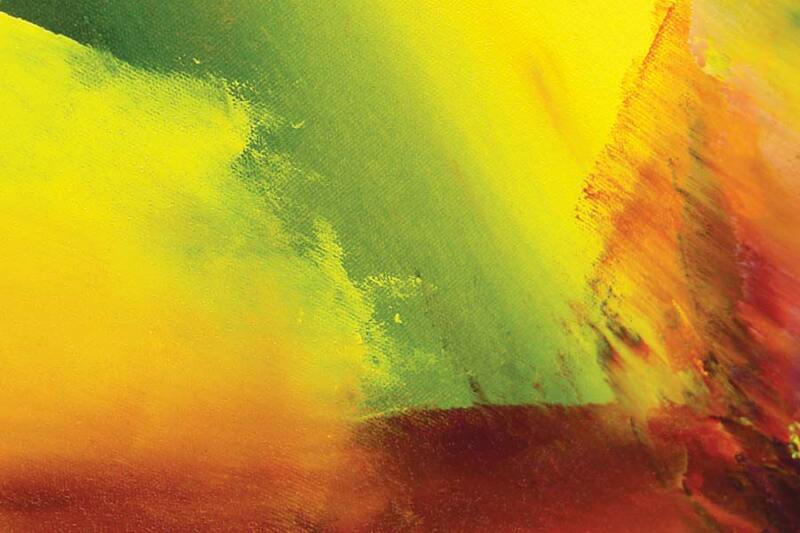 High Flow is Golden’s newest acrylic paint with extraordinarily diverse application possibilities. From fine lines to broad strokes, High Flow Acrylic has an ink-like consistency that lends itself to a wide range of techniques, including staining, levelling, calligraphy, and mixed media. Open acrylics give painters the opportunity to take advantage of the low toxicity and ease of use of acrylics whilst still allowing artists to use techniques that usually rely on the longer drying times of oil colours. Open can also be used for direct printing techniques such as monotypes.